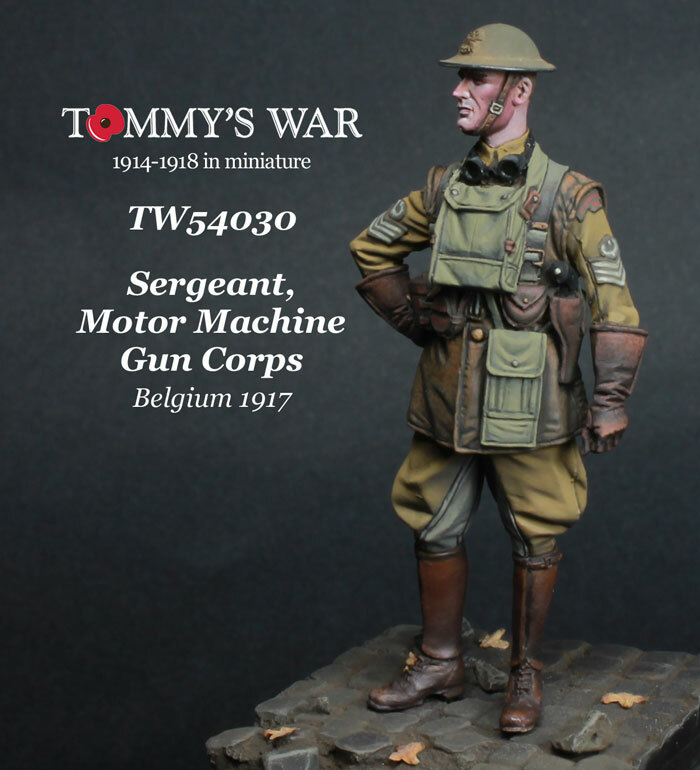 Mobile machine gun batteries had been developed as early as 1914, as the war progressed the usefulness of these highly adaptable units became apparent and they served not only in Western Europe but Africa, Mesopotomia and Palestine. 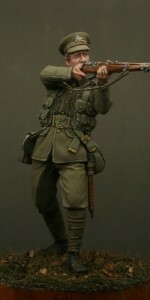 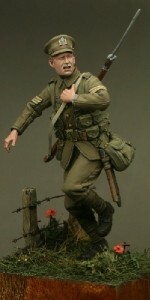 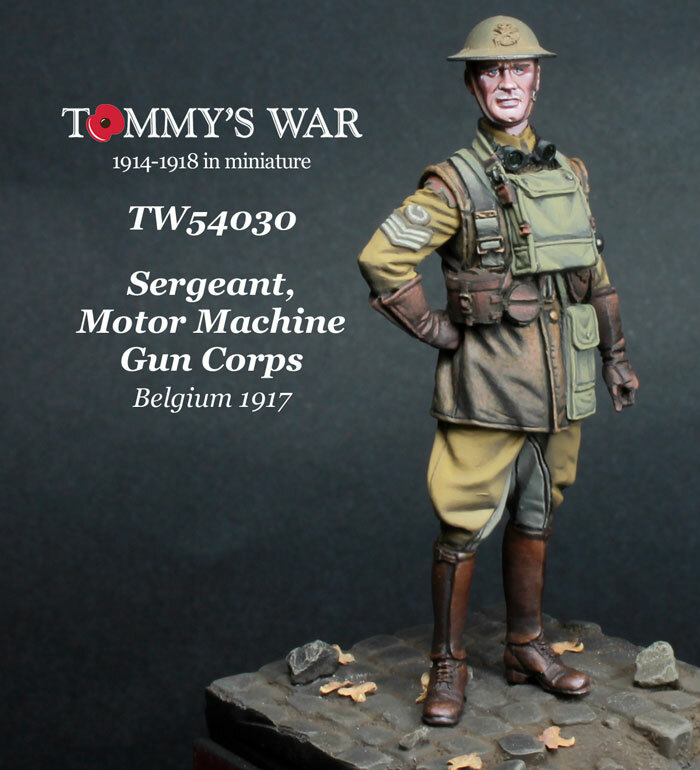 The figure shown is a Sergeant of the Machine Gun Corps (Motors) in the last half of the war in Europe. 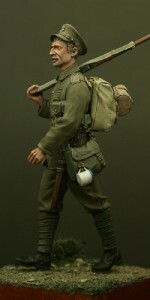 He is wearing a leather coat, leather gaiters and is well equipped with 1908 pattern pistol webbing, map case and compass case. 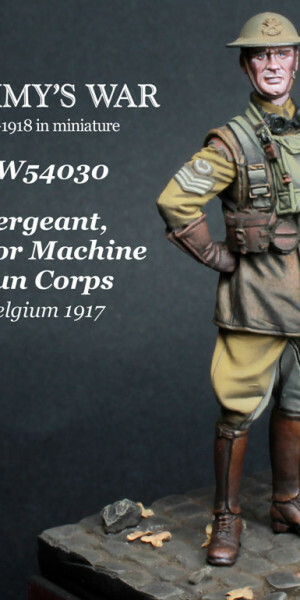 Units of the MMGC rode a variety of motorcycle and motorcycle combinations from manufacturers such as Clyno, Matchless and Enfield. 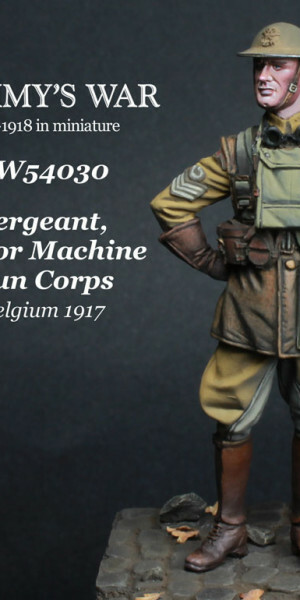 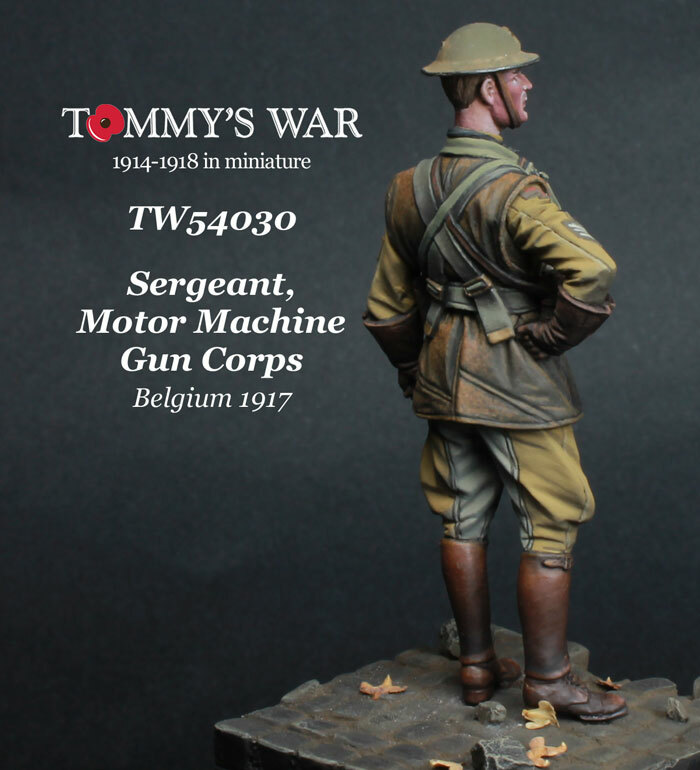 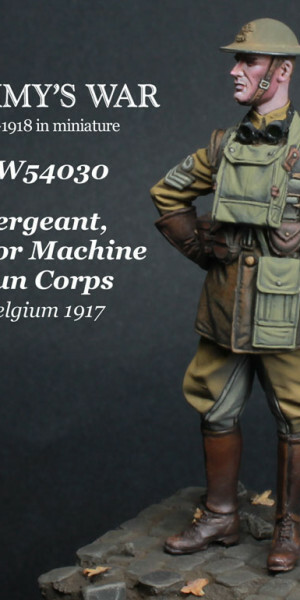 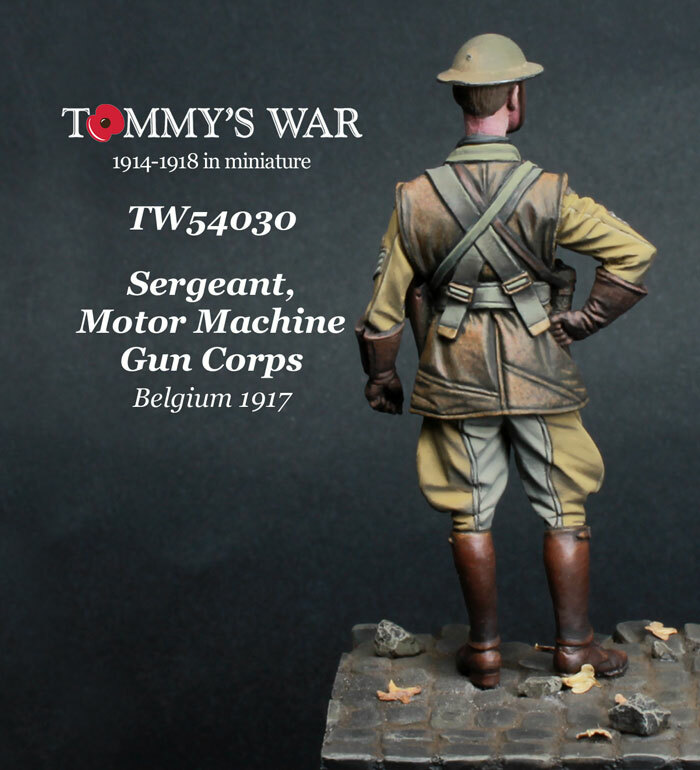 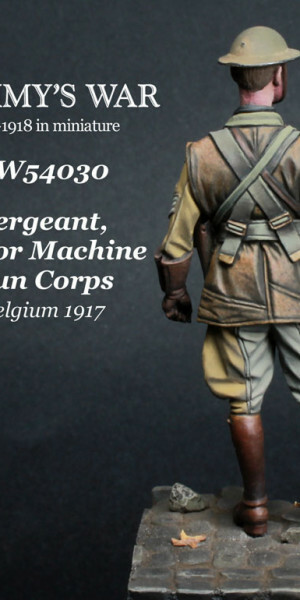 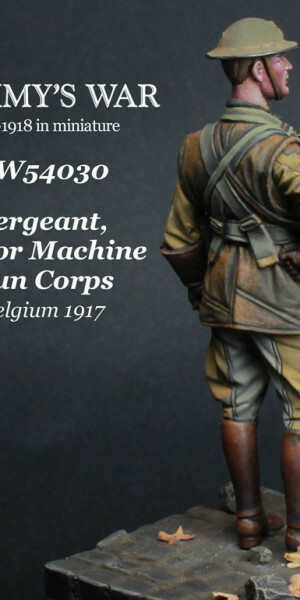 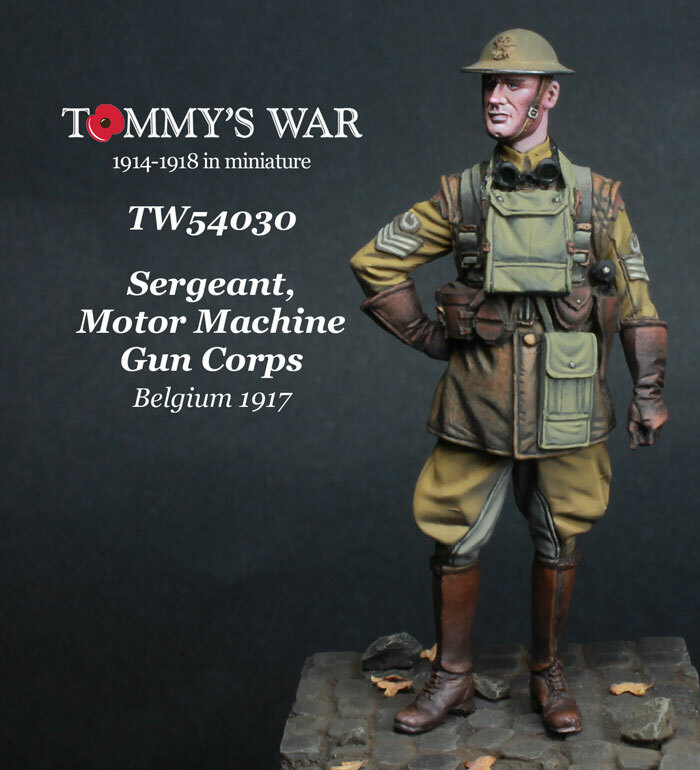 Designed to be displayed on its own, the figure also works with Tommy’s War figure TW54029 (Private, Machine Gun Corps) and, of course, the Clyno Vickers motorcycle machine gun combination kit also in our range (TW54E11).